Feel free to guess what cap is this. Forget Baltimore, Boston and no, B in this case doesn’t stand for brother or bro. 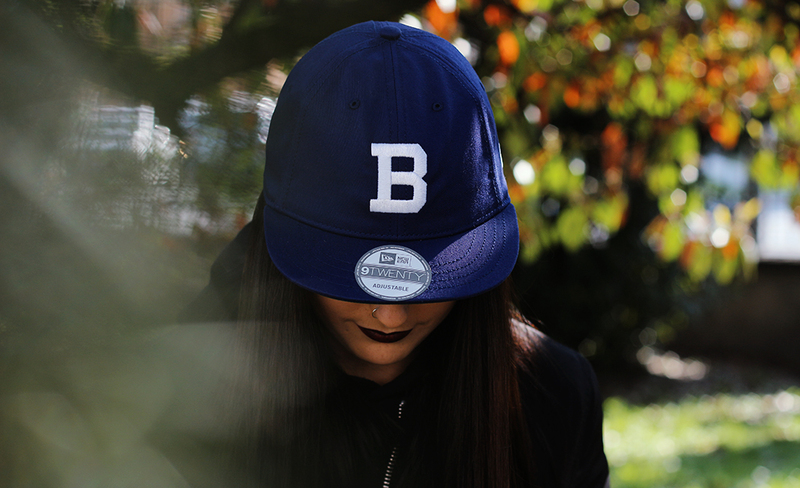 Once upon a time there was this baseball team called Brooklyn Dodgers. Little did it know at the beginning of its story that they would become the infamous LA Dodgers one day but so it went. Established in 1883 in the New York borough that you learned to love through music and movies, this team moved to Los Angeles in 1958. 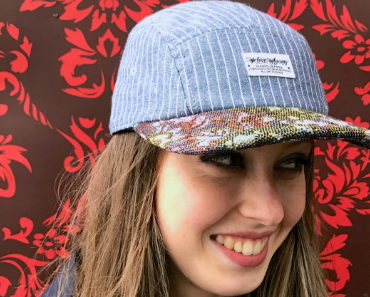 New Era did some digging to discover its own roots that are well planted in the sportswear field as you know, to come to the conclusion that this was a much needed throwback. 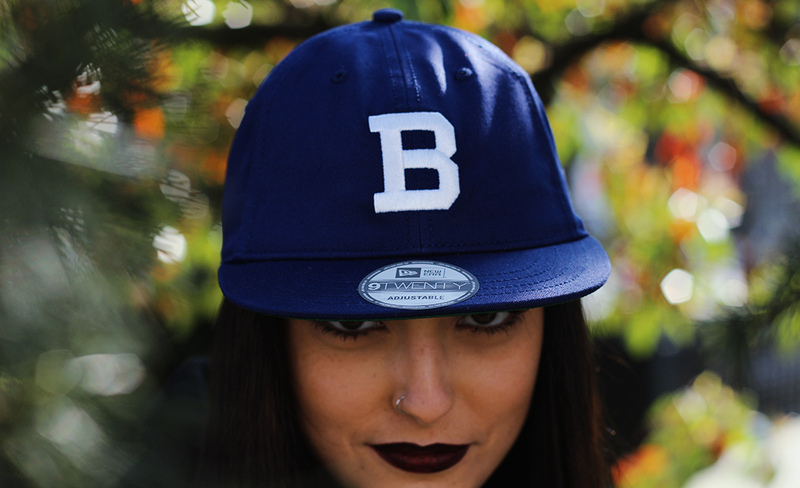 This Brooklyn Dodgers Vintage MLB 9Twenty Strapback that Giulia Z is wearing is part of the Cooperstown Collection. 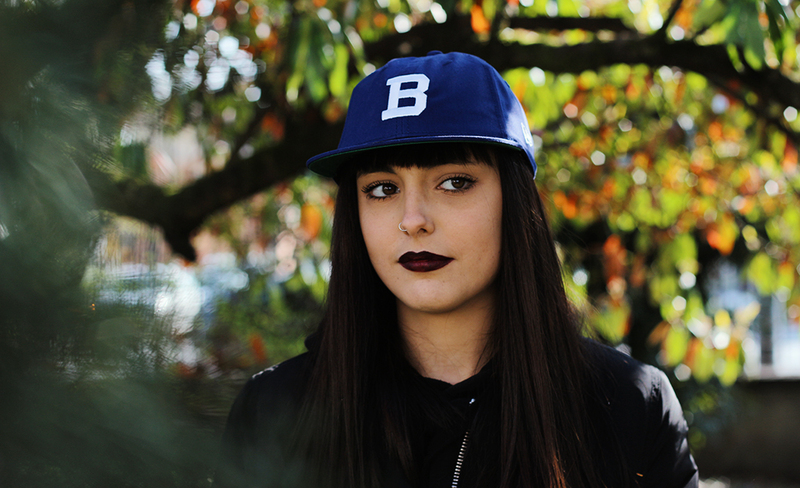 Being a 9Twenty, this cap has no pre-formed structure unlike a 59fifty, but basically it was conceived to follow the lines of your head. 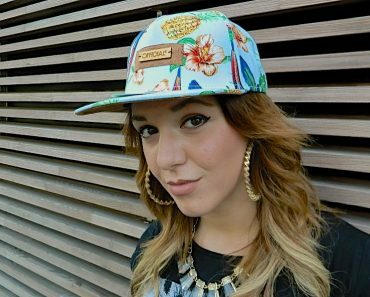 Such vintage headwear piece may look like a 5 panel to you but looking closely you will discover that it’s a 6 panel cap. What stands out in this 9Twenty as soon as you look at it is how short is its visor. 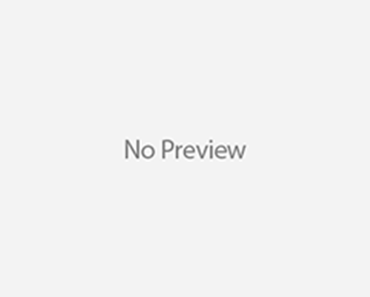 Think of a classic cyclist visor and you are almost there. 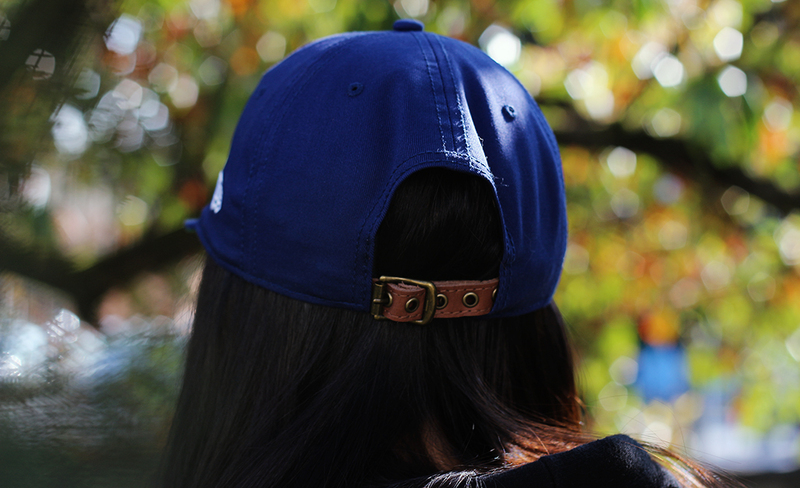 To increase its vintage flavor there is a leather strapback that adds value to this cap. Clean enough to match your all white sneakers, this piece is a valid alternative to what you usually wear. Expect to hear a lot of “Wait, what style of New Era cap is that? !” when you wear it. Play the game right: answer with nonchalance… Pictures courtesy of O’Graph. I.s N.ight F.or A.rt R.elated T.ypes?